EA killed the demo so it could get the actual launch right. EA has announced that it is shutting down the PS3 multiplayer demo of Crysis 2 in order to iron out the bugs before the game's release next week. Players were noticing delays when trying to connect to servers, which made actually playing the multiplayer-only demo rather tricky. EA said that its priority was on making sure that Crysis 2 had a "flawless" launch. EA said that it had identified the root cause of the issues, but with just days to go before the release of the game itself, it decided that the best use of resources would be to kill the demo and make sure that the same thing didn't happen post-release. The PS3 was the last platform to get the Crysis 2 demo, which went live on March 15th. It came two weeks later than the PC version, and more than a month behind the Xbox 360 version. EA was vague about exactly when the demo was going down, saying that it would be in the "next 24" hours, but not giving a specific time. PS3 players are understandably upset by this turn of events, with some going as far as to say that this decision has actually soured them against buying the game. What must be especially frustrating is that had PS3 players not been left waiting until the very last minute, then this issue might have been caught and fixed sooner, allowing them to get the same experience that players on other platforms had. 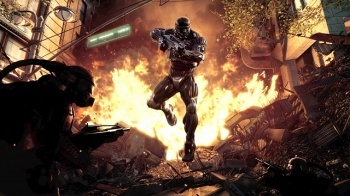 Crysis 2 comes out for PC, PS3, and Xbox 360 on March 22nd.